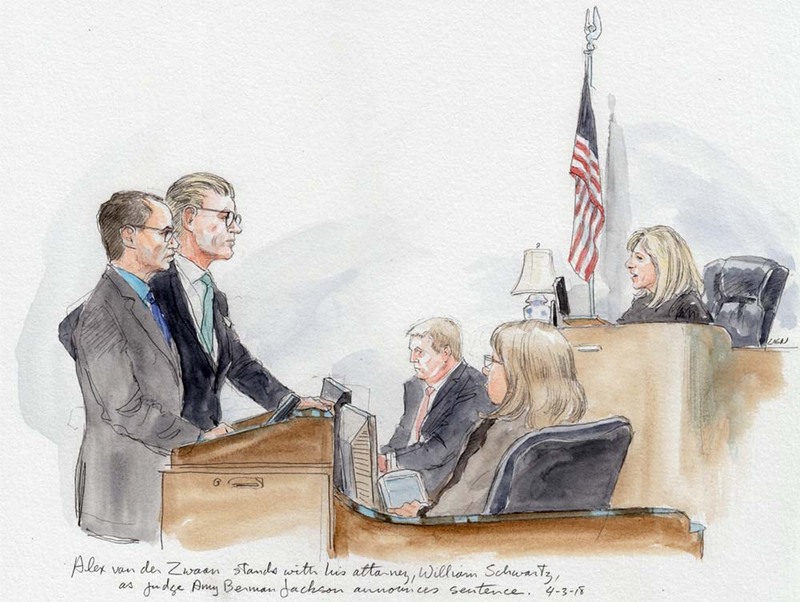 Posing nonchalantly, one hand on the lectern, the other in his pocket, Alex van der Zwaan received a sentence of thirty days and $20,000. from judge Amy Berman Jackson. 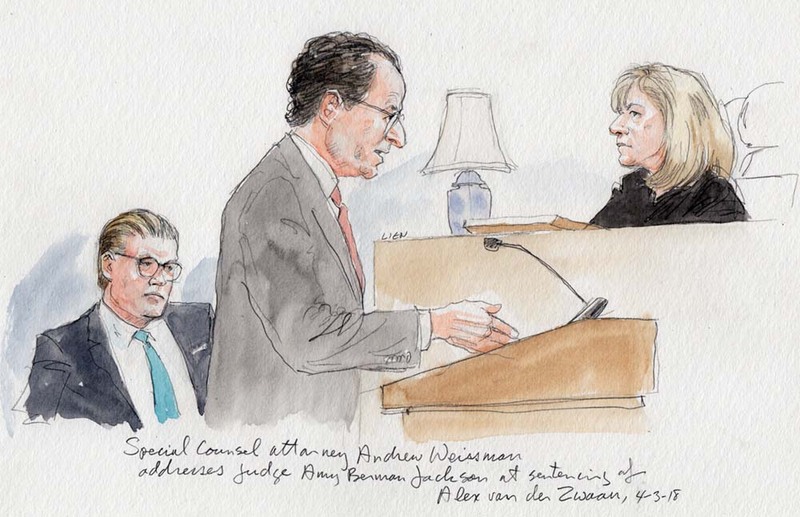 Zwaan, who pleaded guilty to lying to the FBI, is the first person to be sentenced as a result of Special Counsel Mueller’s investigation. 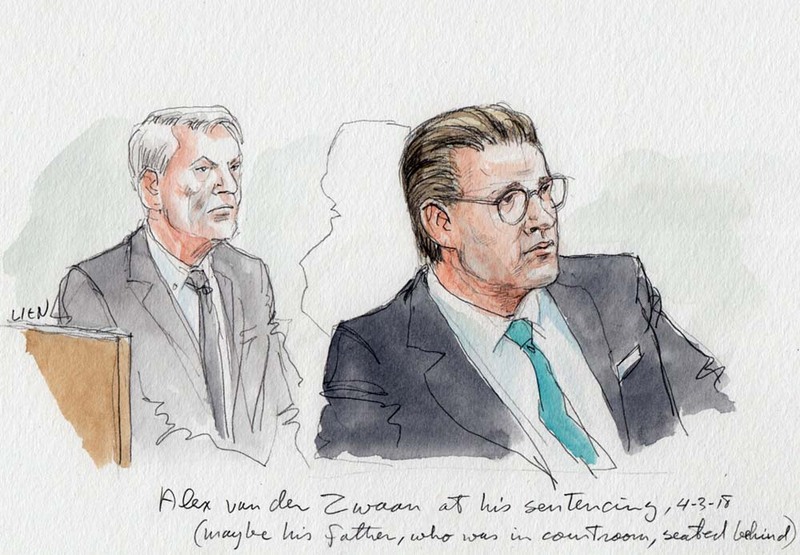 Note that the person depicted in the above sketch is not van der Zwaan’s father, though he was present in the courtroom.